Some physicians treat the effects of health concerns and diseases, but a great dentist strives to stop a problem before it ever starts. At the Center for Advanced Dentistry, we focus on holistic, preventive care for your whole family because we believe a healthy smile is the first step to a healthier body. Research has shown numerous links between poor oral health and systemic health issues like diabetes or heart disease. Let Dr. Hornstein’s twice annual dental health examinations be your first line of defense. We screen for signs of periodontal (gum) disease which effects more than half of adults in the United States, and can lead to serious health concerns when untreated including heart disease, stroke, and complications for diabetics. Additionally, Dr. Hornstein screens for oral cancer, TMJ, and bruxism (teeth grinding). If we do find you are in need of dental care, we may recommend periodontal therapy, mouthguards for bruxism and teeth grinding, dental sealants, and numerous other general dentistry treatments to put a smile back on your face. Before we begin any treatment to improve oral health, we take time to explore your overall health as well to ensure we offer treatments that improve your oral health and whole body wellbeing. As a holistic dental practitioner, Dr. Hornstein chooses treatments that are not harmful to your body, and we have a number of methods for helping patients determine the best treatment options. Through biocompatibility testing, we determine what dental materials your body may be sensitive to before we ever treat you, and all of our fillings, crowns, inlays and onlays are completely mercury free. Start your dental maintenance with superior preventive dentistry exams! As an experienced general and family dentist, Dr. Benjamin Hornstein encourages preventive care to help maintain oral health, but as a holistic dental practice, Dr. Hornstein treats the whole person. Regular checkups and good home care routines stop minor issues from becoming much larger concerns, including ones that could potentially cause major damage to your smile. With the proper treatment, however, you can stop these dental problems before they even start. With any one of these general dentistry services, Dr. Hornstein can provide you with what your smile has been missing. 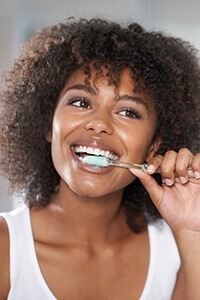 In order for your pearly whites to look their best, they need to feel great as well, which is why our general dentistry services ensure that your smile is the picture of optimal oral health. For the healthiest smile possible, our general dentistry services are the answer. Our full-service dental office can help patients of all ages keep the smile they love for a lifetime; after all, we know how hard it can be to find a dentist that can care for not only you but your entire family. The Center for Advanced Dentistry is the practice you’re looking for. For patients who experience dental anxiety or phobia, those who have sensitive teeth, gums, or gag reflex, and those who need complex treatments, oral conscious sedation offers a safe, effective means of delivering the care they need. A sedative is prescribed prior to treatment, and patients take the medication at a predetermined time before their procedure. The sedative is long lasting allowing patients to relax and reducing pain and discomfort throughout treatment. Patients will need to have a friend or family member accompany them to and from their appointment, and should plan to rest for at least 24 hours following their first dose of medication. An emergency of any kind can be stressful and painful, but dental emergencies may be especially troubling since many of our patients are unsure of what to do when they experience an emergency. We are happy to offer same day treatment whenever possible, and encourage our patients to contact us immediately in case of emergency. We’re happy to answer questions, offer first aid tips, and help patients stay calm and get the care they need. Some common dental emergencies we see include avulsed (knocked out) teeth, broken teeth, severe toothache, and soft tissue lacerations. We know our families are busy, and that’s why our team is happy to treat the whole family in one convenient location. We offer a wide variety of treatment options to help younger patients, and there’s no need for them to transition to a new practice once they come of age. Our trusted dentist and team are here to help patients with superior oral health care from their first tooth to their last. Contact our friendly team with questions or to schedule block appointments for the whole family. Visual examinations and x-rays are both adequate ways to detect existing cavities, but what if there was a technology that could detect caries as they develop? With laser cavity detection, we’re able to precisely pinpoint cavities in their earliest stages of development. In some cases, we’re able to prevent decay from ever occurring. The laser shines light onto healthy teeth and reflects light at a certain rate. This rate of reflection changes when teeth are decayed or beginning to show signs of weakening. Most patients know how important it is to wear a helmet while taking part in contact sports, but athletic mouthguards, sometimes called sportsguards, are also necessary in order to protect patients from damage following facial trauma. There are a variety of over the counter mouthguards available, but these are not made to fit the unique size and shape of patients’ smiles making them uncomfortable. Custom crafted sportsguards from our team comfortably protect patients’ smiles during athletic events increasing the likeliness that patients will consistently wear their guard. Whatever your dental care needs, let the Center for Advanced Dentistry give you a smile you can be proud of. Please contact us if you would like to schedule a general dentistry appointment at our office. Dr. Hornstein sees patients in our Beachwood dental office from Cleveland, Pepper Pike, Shaker Heights, Solon, and other Ohio cities. If this is your first time at The Center for Advanced Dentistry, please take a moment to look at the instructions listed on our new patient page. To find out other ways we treat your smile, feel free to review our services information.